When thinking about a computer rental many, people don't even bother to give a second thought about the security of their systems. Many conclude that computer rentals are merely temporary, and why bother with investing in security? However, when dealing with any type of sensitive corporate data you should be taking the utmost priority in protecting your assets. The most breached online Operating System to date has become Linux (65%) followed by Windows (25%) and Mac OS X and BSD (<5%). For any business with security in mind, Mac OS X is definitely the way to go. Apple computers are well known in the graphics and creative industries and all video enthusiasts know that Mac is the way to go for any type of high end video editing and rendering. Final Cut Pro is becoming the industry standard for all types of video editing projects and the software offers excellent media management. 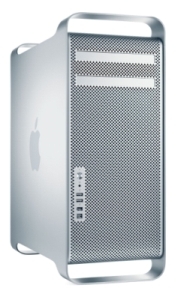 These apple computers can also be clustered together to create a render farm compatible with the Final Cut Pro and Compressor software for decreased rendering times and compatibility. 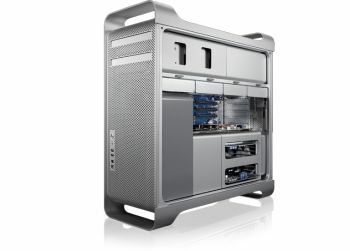 When looking for a large quantity of Apple systems for a high end project such as a render farm, or any type of large data analysis, it is common that an Apple Computer rental find itself needing a server to accompany it. 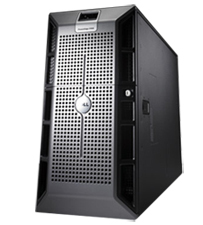 With the use of an Apple Xserve Server any client can easily cluster together dozens of desktop PC's in a relatively small space that may normally only hold a few desktop stations. This approach is common for any CPU intensive application commonly found in graphics design, video animation, and data analysis where it is not critical to have a dedicated user at every PC. Many businesses are beginning to use Mac's primarily due to concern about viruses, spyware, and often times the loss of productivity that derives from them. For businesses using Macs, this means that all their software needs to be Mac compatible and its users need to become familiar with using a different OS and its related software. This is where an Apple Computer Rental would come in handy. If you were to hire several new employees all of them would need to be trained in the use of a Mac and any related software your business might use to operate. We rent our Macs to your exact specifications so you know all your software will run as it should and you new employees will be accustomed to how your business operates. We also offer HP, Compaq and Dell Computer Rentals. New - iPad Rentals Nationwide! Now offering up to 8 cores for unprecedented performance.